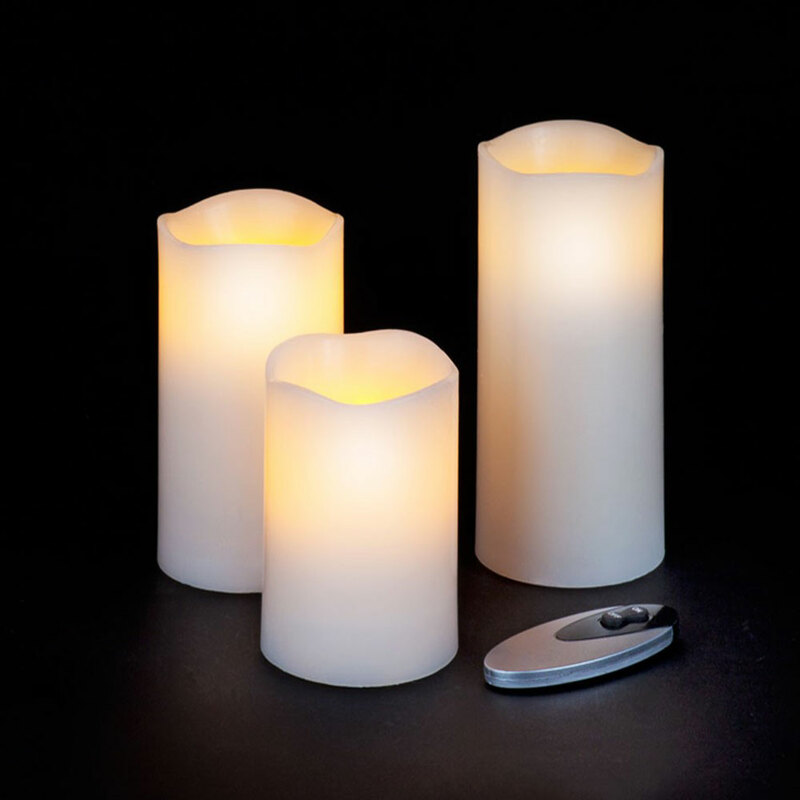 Snowtime Set of 3 Flameless Candles B/O With Warm White LEDs supplied with remote control offers a realistic candle set suitable for gentle illumination on a windowsill, mantlepiece or table top. Battery powered ensures freedom of candle position and placement. Safe and reliable these 3 various sized candles are easily activated ON or OFF using the remote control supplied, so hard to reach candle positioning is possible.